Not my library, actually. 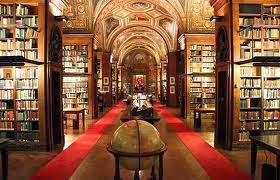 It's the library at El Real Monasterio de El Escorial in Madrid. But isn't it beautiful? Well. I haven't been very active on the blogosphere lately. But here's why. Big doings at work -- about a month ago, I interviewed (again) for promotion for a Librarian I position. Which was great -- but then other stuff, which I probably cannot discuss publicly, happened. Which is AWESOME -- I finished my Master's in Library Science almost FOUR years ago -- the job market for librarians is almost impossible, and I've been lucky enough to have HAD a library job for more than two years, just not a librarian, and I loved it. I loved my patrons, my book groups, and, especially, my co-workers. I had a great boss. But -- I had to leave my branch, which was really hard. Tomorrow I start at a new branch, with new co-workers, and a new boss. I've worked with most of them already, briefly, and they're also super nice. I know I can do great things at my new branch, and I'll love them just as much. I'll just miss all the lovely people at my old branch. Years ago, the first time we lived in Texas, we kept hearing over and over, "After this assignment, you're going to Japan." Which sounded amazing -- I'd always wanted to live abroad. But then things changed, and we found out our next assignment -- which was not Japan. In fact, we were going to -- wait for it -- Omaha, Nebraska!!! Nothing against Nebraska, but it's quite different from Japan. At first, I was disappointed -- I'd been so excited about going to Japan. But then I thought about all the great things about Nebraska. It was much closer to family; also, closer to Chicago, where I went to college, and still had friends. Four seasons. Good schools. So, we moved to Omaha, and had a great house, and my husband loved his job. My daughter started preschool, and we had another baby. I made some great friends, and joined a book group. You know what? Nebraska was AWESOME (okay, winters were cold, and long, but it was pretty, and the other three seasons were wonderful). But I loved it, and after that we DID go to Japan, and when we left Nebraska, I cried. So, I'm pretty sure it's going to be like that. I'm always sad to leave the place I'm at, but pretty soon I love my new place just as much. And it's not like I'm traveling halfway around the world -- I'm only twenty minutes from my old branch. Anyhow -- I hope it won't be a difficult transition. It's all been very surreal. It's probably quite unfair of me to begin this review by comparing it to another book. 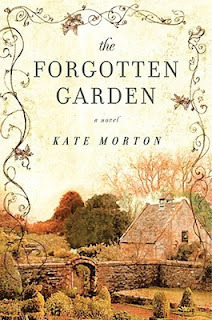 I'm sure it was probably unwise for me to read The Children's Book almost immediately after reading and reviewing what appears to be a similar book, The Forgotten Garden by Kate Morton. 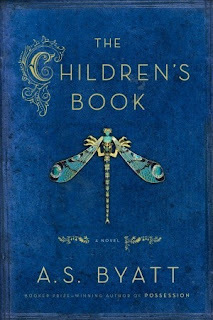 Honestly, it just worked out that way -- I'd actually started The Children's Book first, then realized I might not finish it in time to start The Forgotten Garden which was a book group selection. (Since I run the book group, it would have been inexcusable for me to not to have finished it in time). But as usual, I digress. Anyhow, at first glance both of them are historical fiction, mostly set during the Victorian and Edwardian periods. Both of them heavily feature English fairytales, and have central characters who are female writers and storytellers, and include entire sections with examples of the aforementioned tales, which are original to the books. Both of them are long -- The Forgotten Garden is just over 550 pages, and The Children's Book weighs in at 675. But almost immediately, I realized they are actually vastly different. I can only give the bare bones of the setup for The Children's Book, because there is so much packed into it. It's the story of four loosely connected families in Kent and London, set around the Fabian and Arts and Crafts movements in England around of the turn of the 20th century. The story follows the parents and children against the backdrop of the end of the Victorian Era, the Edwardian Era, and finishes during WWI. The story begins in the South Kensington Museum, which will someday be known as the Victoria and Albert Museum. Two young teenage boys, Julian Cain and Tom Wellwood, are watching a third boy sketching in the museum. They discover the boy, Philip Warren, has been hiding out in the museum's basement, having escaped poverty and dire conditions of the pottery works in the Five Towns area. Tom's mother is Olive Wellwood is a writer of fairy tales, who brought her son to the museum while she was consulting about her book with Julian's father, a curator at the museum. Olive is not only a writer, she's a socially progressive do-gooder type, and she decides to take Philip under her wing. She brings him home to her ramshackle farm in Kent, where he is exposed to artistic and socially conscious people who change his life, including the family of Benedict Fludd, a brilliant and eccentric potter. Through Philip, the reader is introduced to a whole network of socially progressive people, artists, writers, craftspeople, and puppeteers who make up Olive's world, in England and on the Continent. However, the novel is not so much about Philip -- we meet a whole generation of children who are growing up in a rather bohemian lifestyle. The Children's Book basically a really great history lesson about English society as it transitions from the Victorian Era to the horrors of the Great War, with these families as a microcosm, if that makes any sense. Where The Forgotten Garden is narrowly focused on one family's mystery, The Children's Book is about the upheaval of an entire generation from childhood to adulthood. You could easily read The Forgotten Garden on a long flight, but The Children's Book took me well over a week of serious reading. It is jam-packed with characters (seriously, I wish I'd made a chart when I started), fictional and real, plus history and commentary, which sadly, I think is to its detriment. I loved learning about these families and their world, but Byatt packs so much into it, the narrative thread of the characters tends to get lost. I could seriously have imagined this book split into two or even three volumes. I loved learning about the Arts and Crafts movement, and the changing role of women, and the Suffragettes (to name but a few of the topics), but I felt like she was so into writing about the history that sometimes the characters were shoved aside. Byatt often ends up telling us what the characters are doing and saying to get through the historical context, and less showing. Some of the historical and political tangents were actually rather dry and sometimes preachy, and at the end, I wasn't even sure what happened to some of the most important characters. I do wonder if she just ran out of steam or needed to finish on deadline. I really enjoyed most of this book but I seriously think it could have used some editing. Still, I'm sure it will make my list of Top Ten Reads of 2013. This book has been on my radar forever, but somehow, I'd never gotten around to reading it. It seems to be one of these books that a lot of book groups are reading. I have to confess, sometimes I'm a bit snobbish when it comes to book group books. 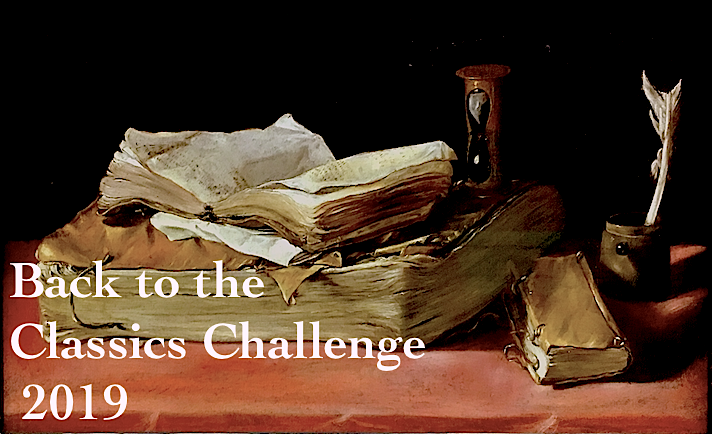 There are certain books that become extremely popular with book groups, but when it comes time to choose books for my two groups at the library, I'm sometimes leery -- there are some books that absolutely everyone loves, and I end up hating them. I hated, hated, hated The Memory Keeper's Daughter, which was really popular a few years ago; in fact, I hated it so much I demanded a refund from Target. I also disliked Water for Elephants and I was really underwhelmed by The Paris Wife, which we discussed last month. (Everyone else loved it). But people kept raving about The Forgotten Garden, so I gave it a shot, even though it's more than 550 pages long. So, if you are one of the 12 other people in the world who has not read this book yet (there are more than 83,000 reviews on Goodreads), here's the setup. Basically, this is a historical mystery, which jumps back and forth between three main characters, following their lives across two continents and more than 100 years. The book starts about 1905, in Australia. A little girl, about four years old, is found all alone on the docks after a ship has docked -- somehow, she's come all the way from England and no one seems to know her name or who she belongs to. The only clue is a white suitcase with a book of fairy tales. The port master takes her home, and he and his wife (who have been unable to have a child of their own) end up keeping her. The little girl eventually forgets all about this and on her 21st birthday, the young woman, now renamed Nell, learns of her mysterious origins. Then we flash-forward 90 years and Nell is on her deathbed, with her beloved granddaughter Cassandra. Her final words are something about "The Authoress." Cassandra, who was raised by Nell from the age of ten when she was ditched by her own feckless mother, starts asking questions. Who is the Authoress? Is she Nell's mother? Did she kidnap Nell and put her on the boat? What happened to her? The story then jumps back and forth between the Victorian and Edwardian eras, explaining the origins of the mysterious Authoress, the book of fairy tales, and, ultimately, the mystery of Nell and how she wound up in Australia alone. We also learn about Cassandra's childhood and her own personal tragedies. The book jumps around a lot, so I was a bit confused at first about the various characters. However, after the first couple of chapters, which are broken up between the main characters, I was hooked. Morton does a really good job of creating distinct characters and histories, and she's especially good at setting the scenes. I especially liked the earliest time frame, when we learn all about the Authoress -- her back story is really quite Dickensian. Morton's plot is also really well developed; in fact, I would almost say it's a little too perfect, if that makes sense. There are plot points and characters that are so convenient that some parts are rather contrived, but I'm being nitpicky; also, there were some plot twists that I could spot a mile away. Nevertheless, I really got hooked on the story and wanted to find out how what happened. It's well over 500 pages long, but I hated putting it down and read the last 200 or so pages in a stretch, staying up waaaay past my bedtime the last night. It's long, but it's actually a very quick read. I can definitely see why it would be popular for book groups -- there's a lot to discuss, and it's not difficult as long as you can keep all the characters straight. I actually coordinate two different book groups for my library, so I'm already planning on putting one of her other books on the list next year for the other book group. Has anyone else read this? What about Morton's other books? Which one should I read next? And are there any book club favorites that everyone loves that you just hated?